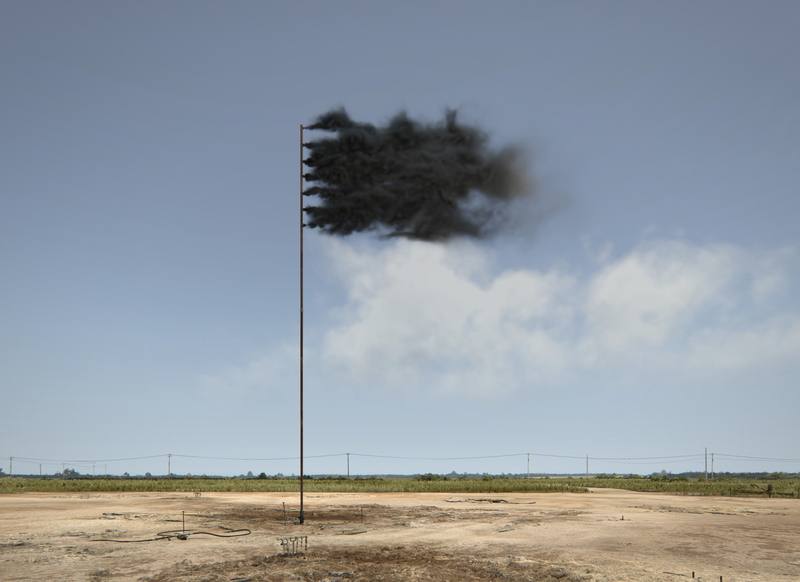 Western Flag (Spindletop, Texas) 2017 depicts the site of the 'Lucas Gusher' - the world's first major oil find - in Spindletop, Texas in 1901, now barren and exhausted. 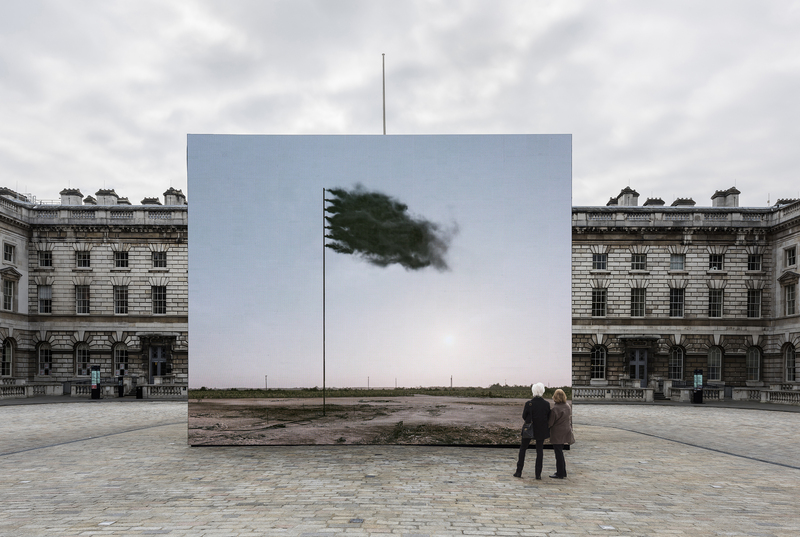 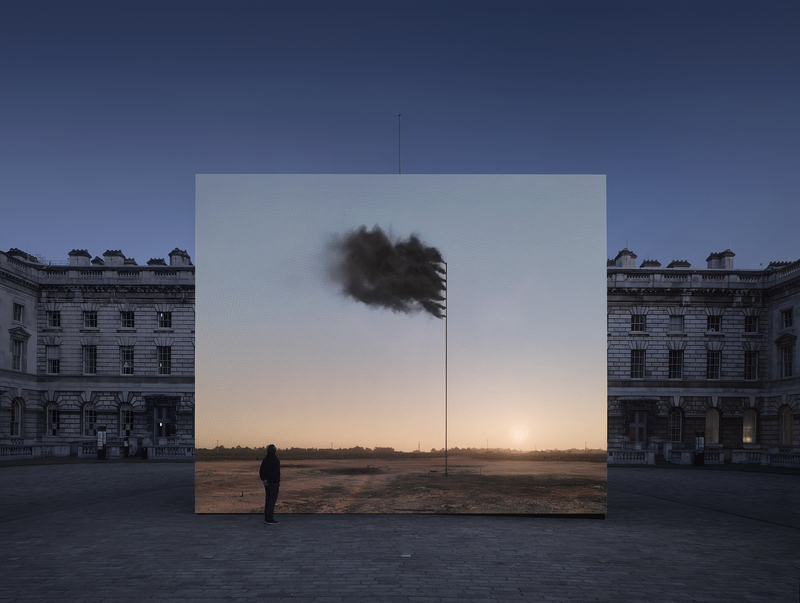 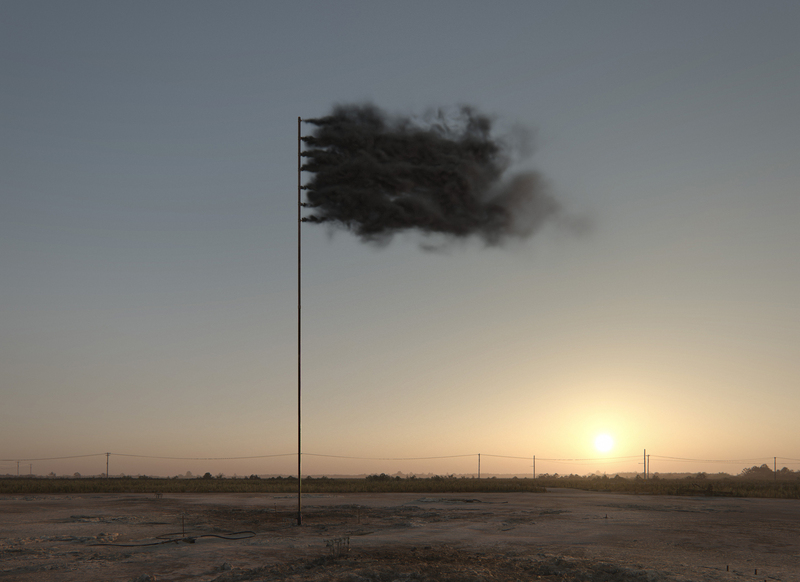 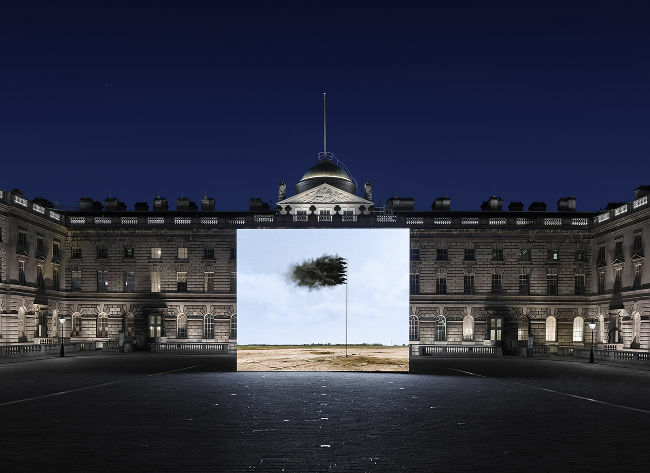 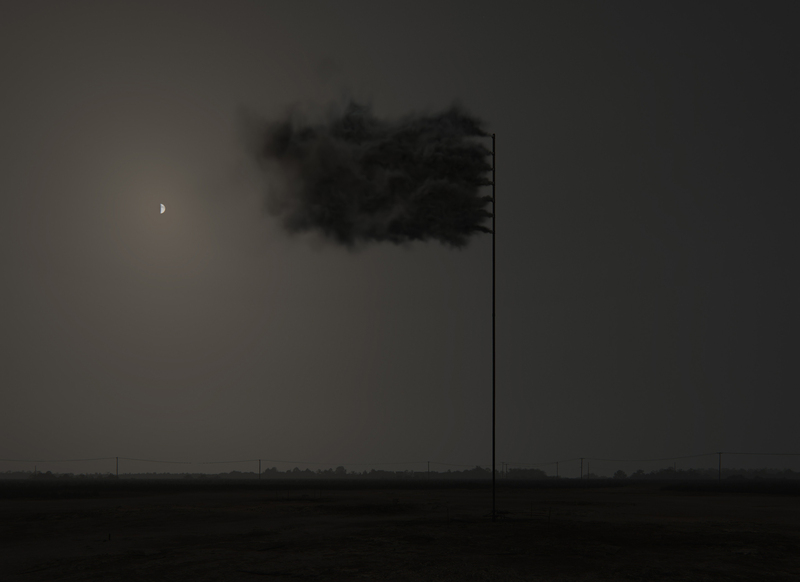 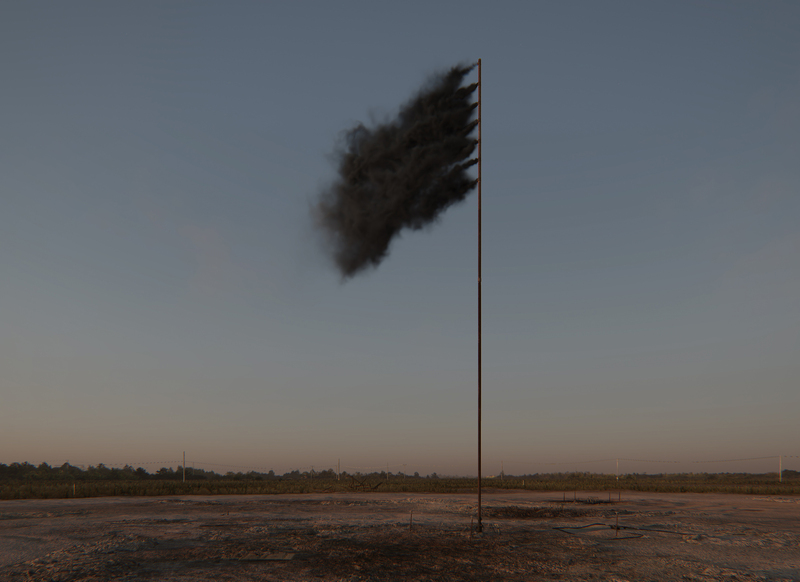 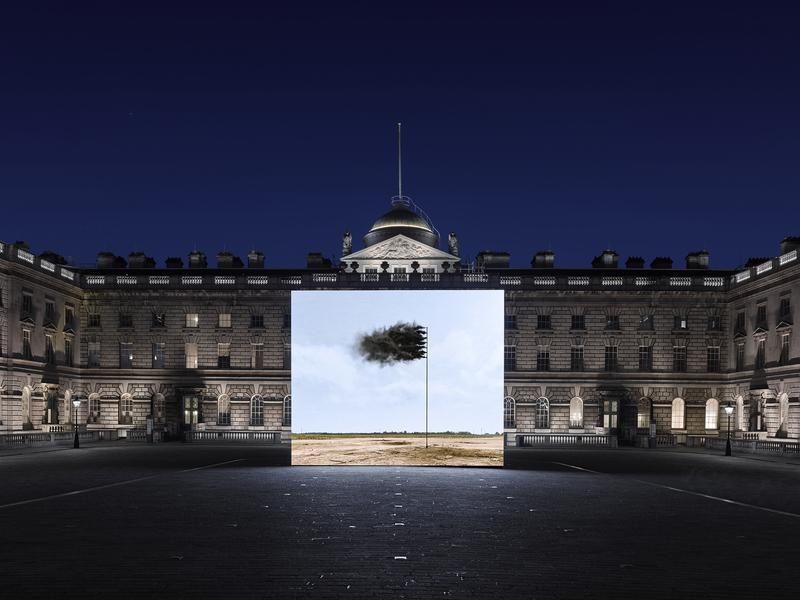 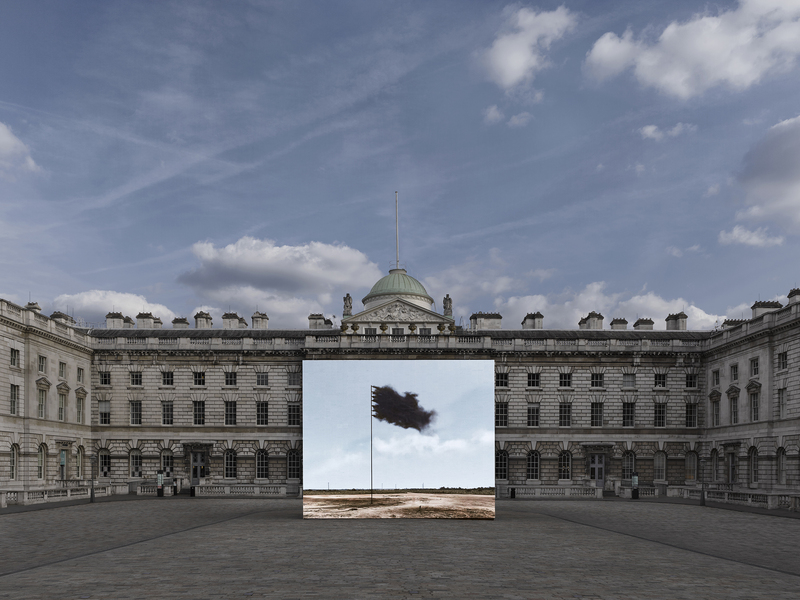 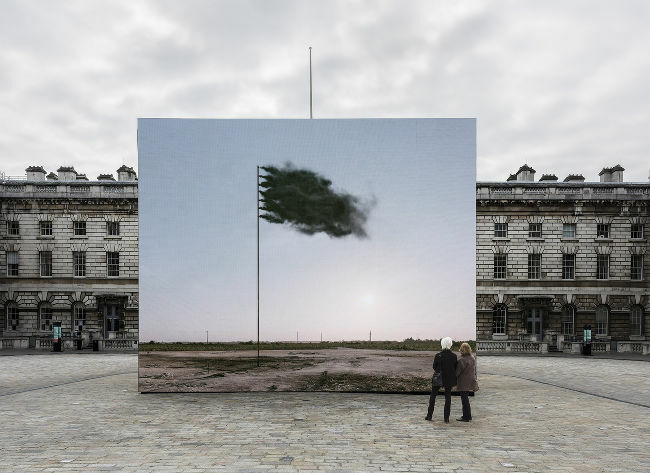 The site is recreated as a digital simulation and placed at its centre a flagpole bearing a flag of perpetually-renewing pressurised black smoke. 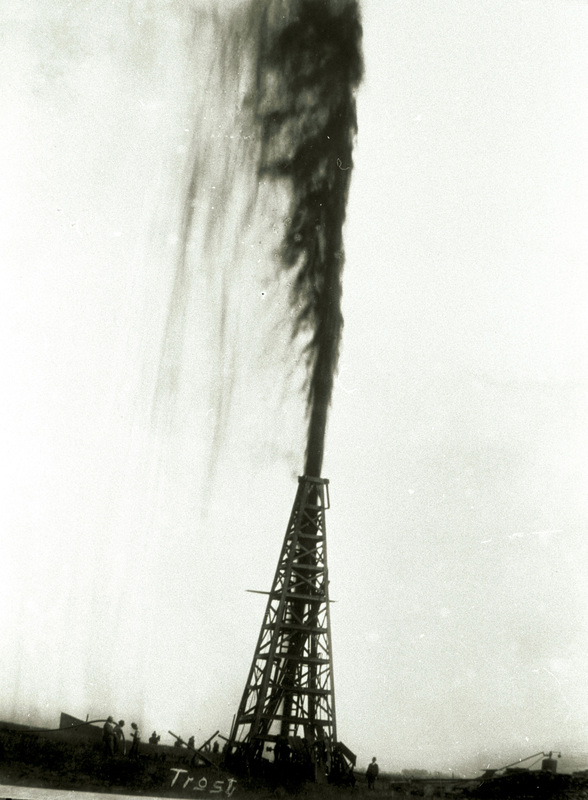 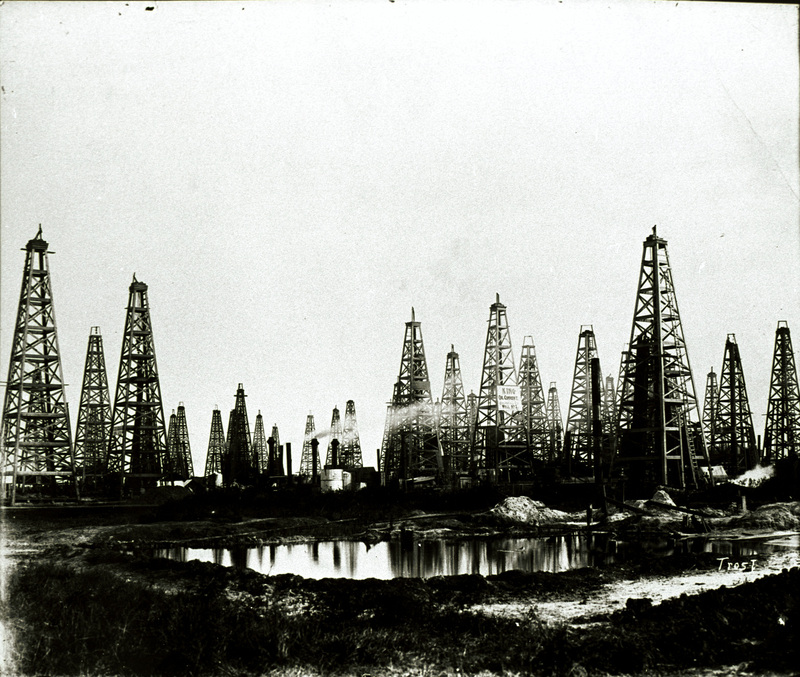 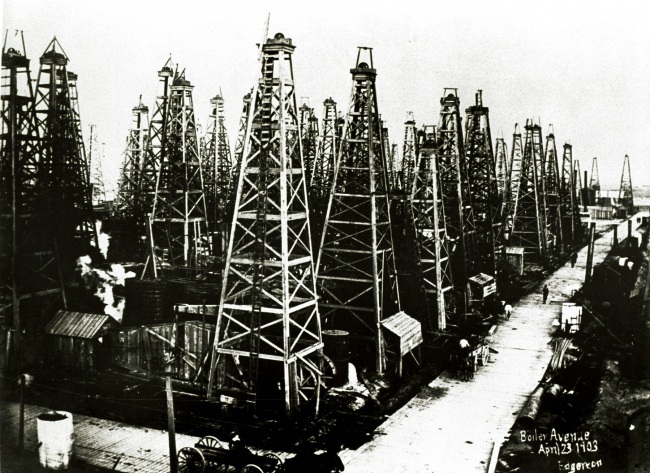 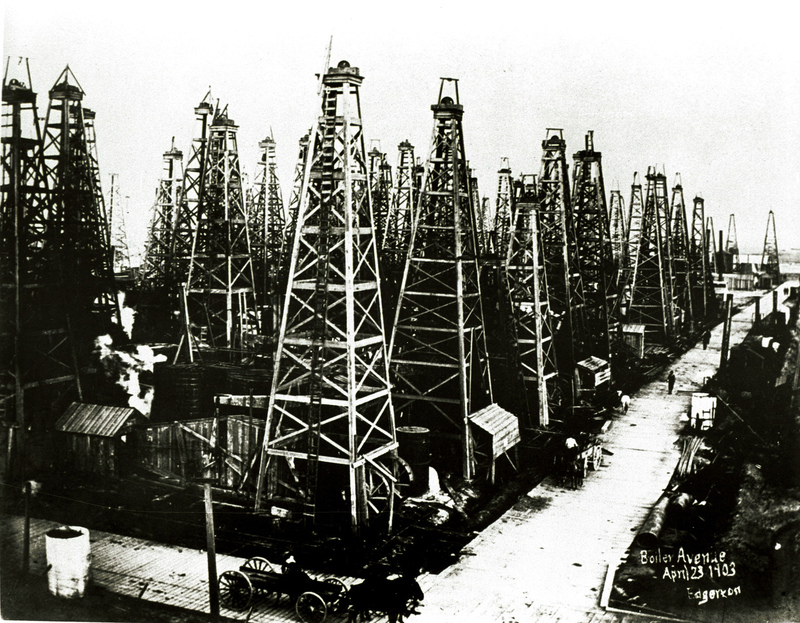 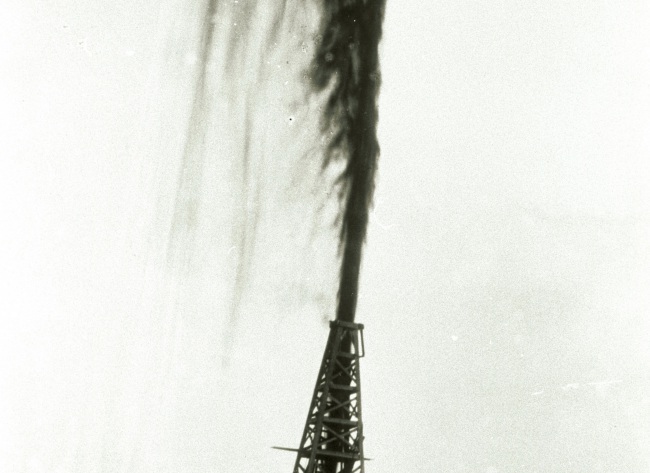 The computer generated Spindletop runs in exact parallel with the real site in Texas throughout the year: the sun rising at the appropriate times and the days getting longer and shorter according to the seasons. 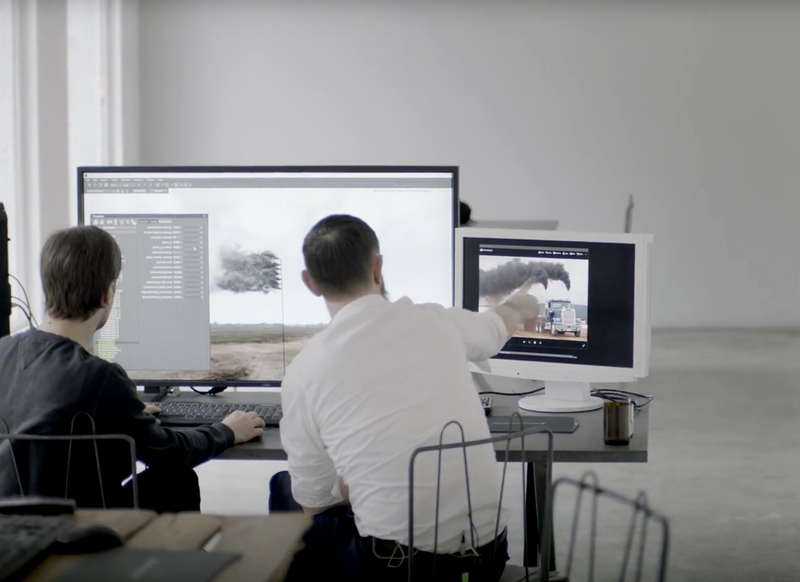 The simulation is non-durational (having no beginning or end) and is run live by software that is calculating each frame of the animation in real time as it is needed. 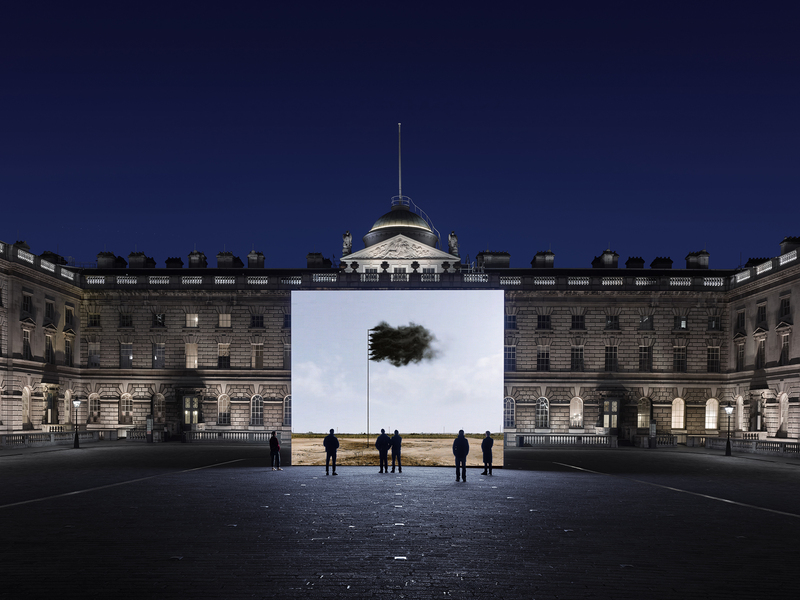 Commissioned by Channel 4 for broadcast April 22nd, Earth Day and presented in partnership with Somerset House. 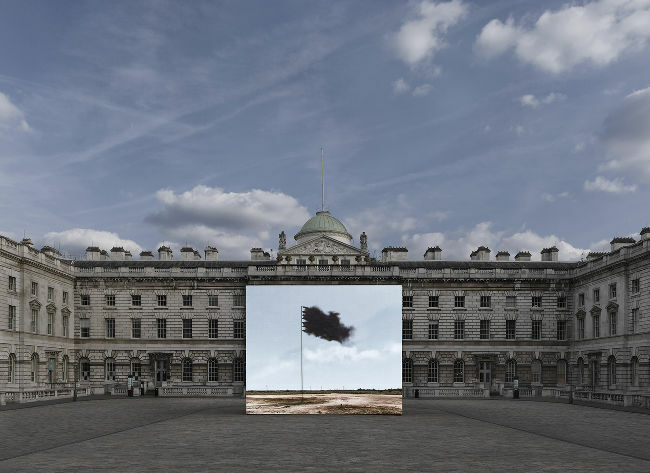 Live presentation at Somerset House, Edmond J. Safra Fountain Court, WC2R 1LA London. 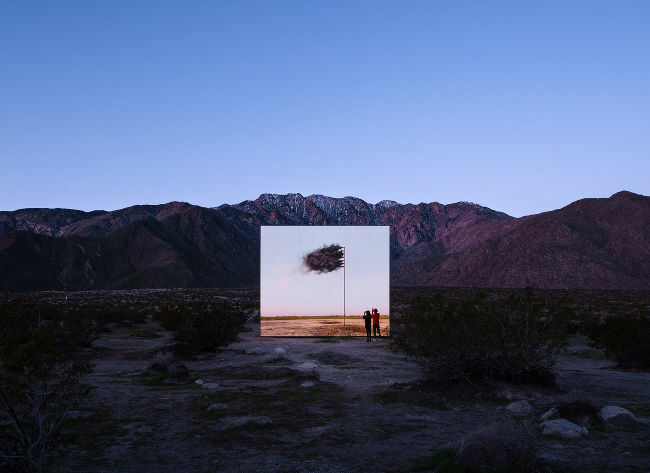 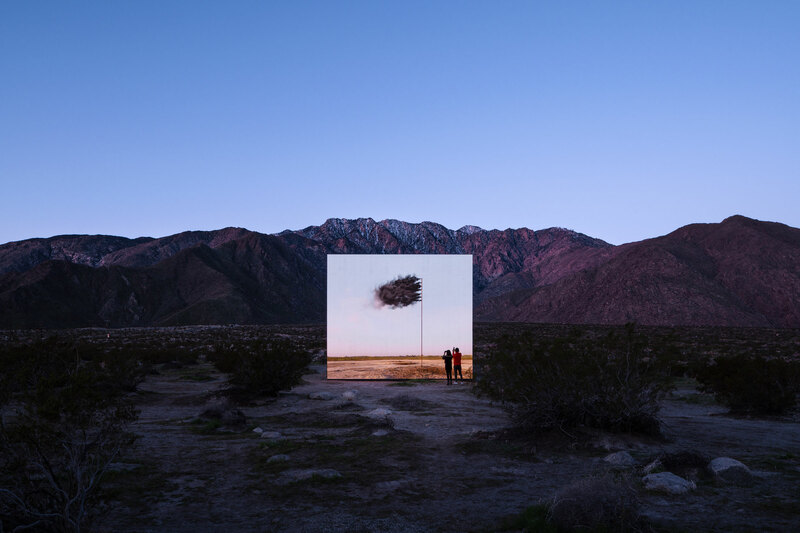 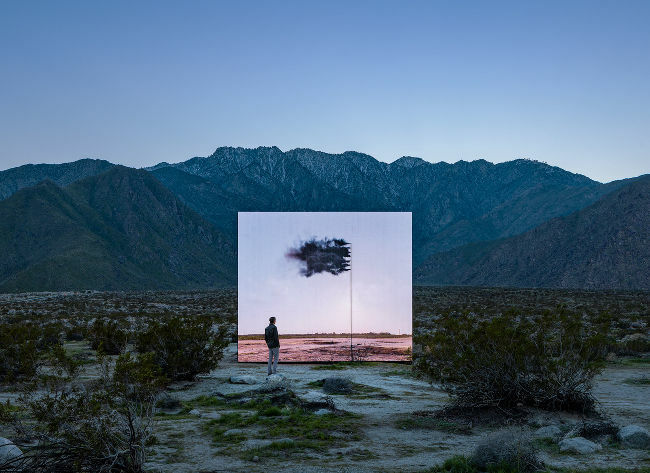 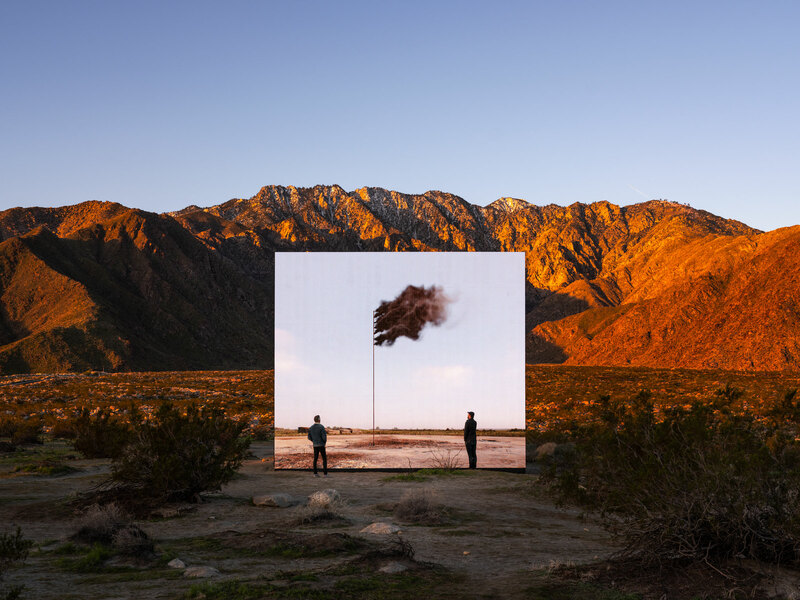 Desert X is a contemporary art exhibition framed by the mountains and desert of the Coachella Valley. 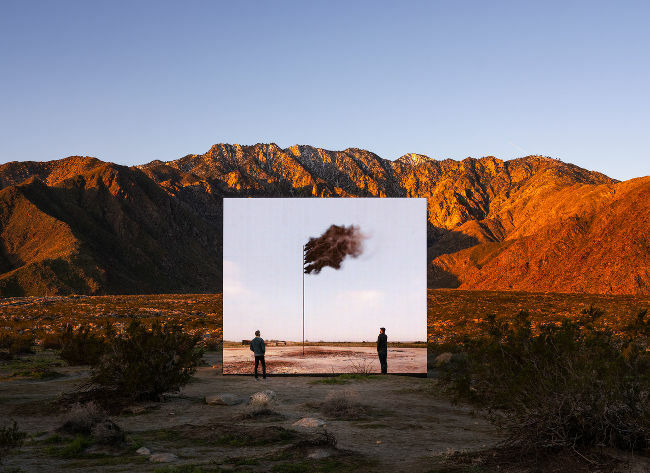 Site-specific artworks range from murals and projections to large-scale sculptures and virtual installations. 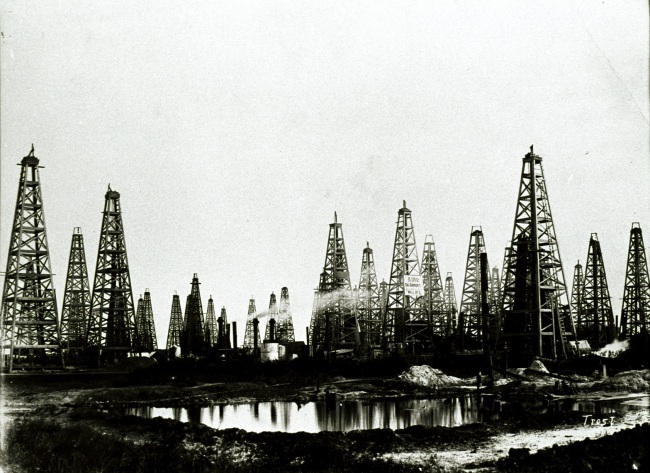 And they take on big themes like fossil fuel use, rising sea levels, and class divides. 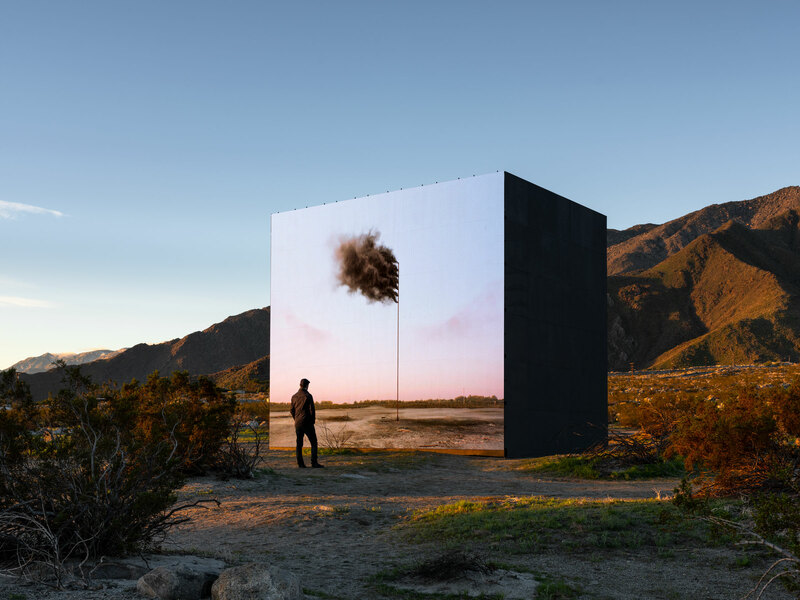 Displayed on an artist–designed frameless LED wall. 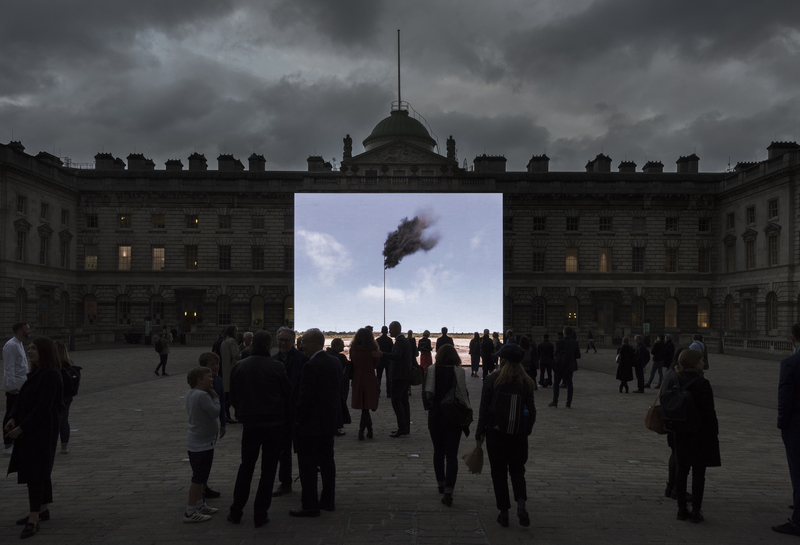 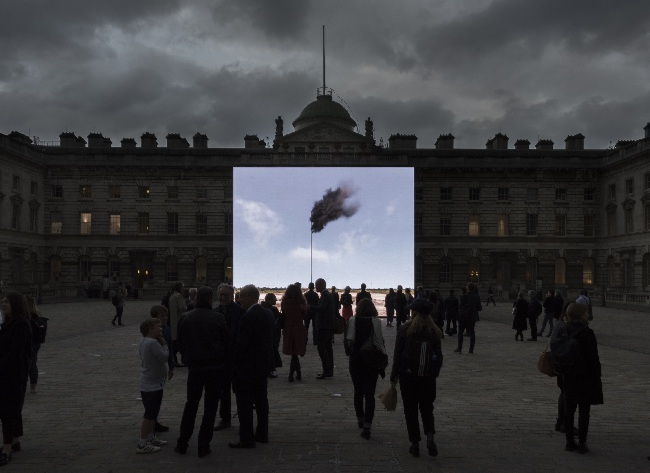 Channel 4 and Somerset House launch a new work by John Gerrard presented on a giant LED screen wall in the historic courtyard at Somerset House from 21st to 27th April 2017. 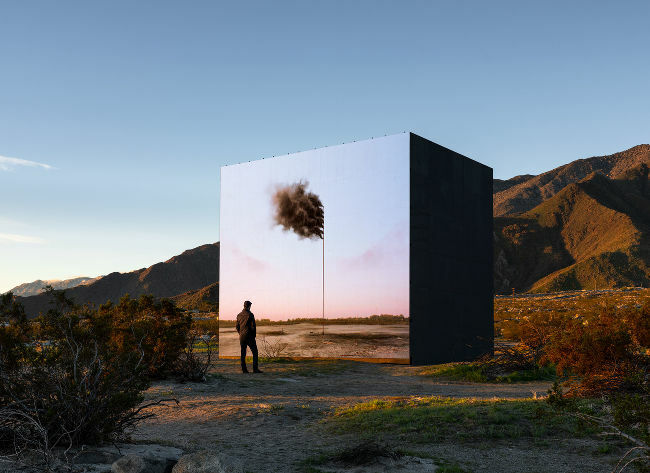 John Gerrard tells the story behind his new artwork, by Gramafilm commissioned by Channel4 to mark Earth Day. 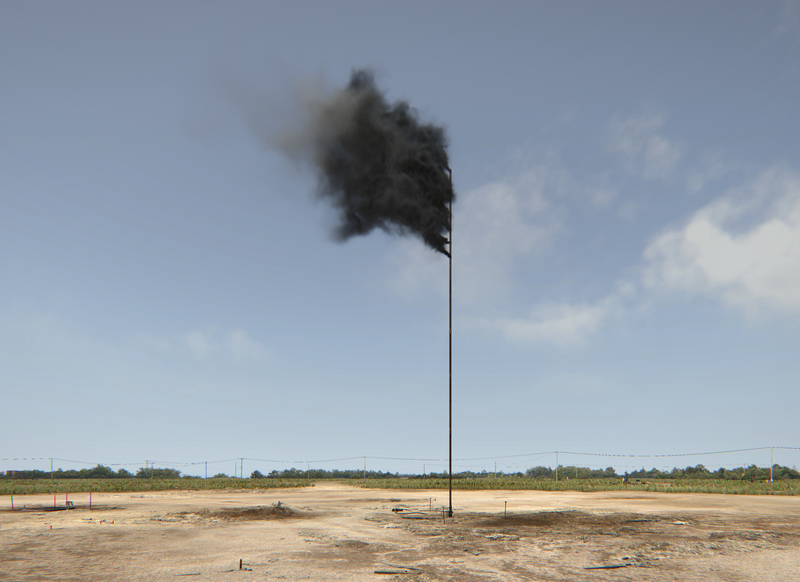 Making of 'Western Flag (Spindletop, Texas) 2017' John Gerrard tells the story behind his new artwork, by Gramafilm commissioned by Channel4 to mark Earth Day.